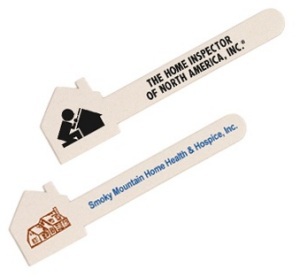 These horizontal house-shaped emery boards are 4-1/2" x 1-1/4". There is no additional die charge for this custom shape emery board. The imprint area of the emery board is 3/4" wide x 3/4" high for the house shape and 2-3/4" wide x 3/8" high for the file length. Select from natural, pink or yellow paper backgrounds. 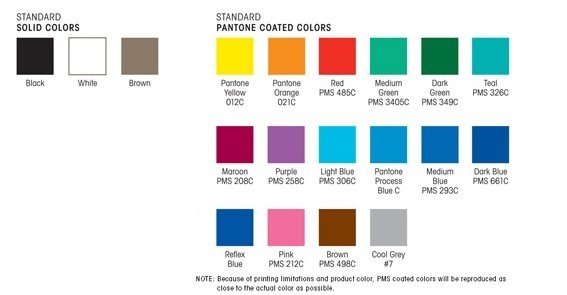 Choose from one of the following imprint colors: black, white, brown, pantone yellow, pantone orange, red, medium green, dark green, teal, maroon, purple, light blue, pantone process blue, medium blue, dark blue, reflex blue, pink, cool gray.